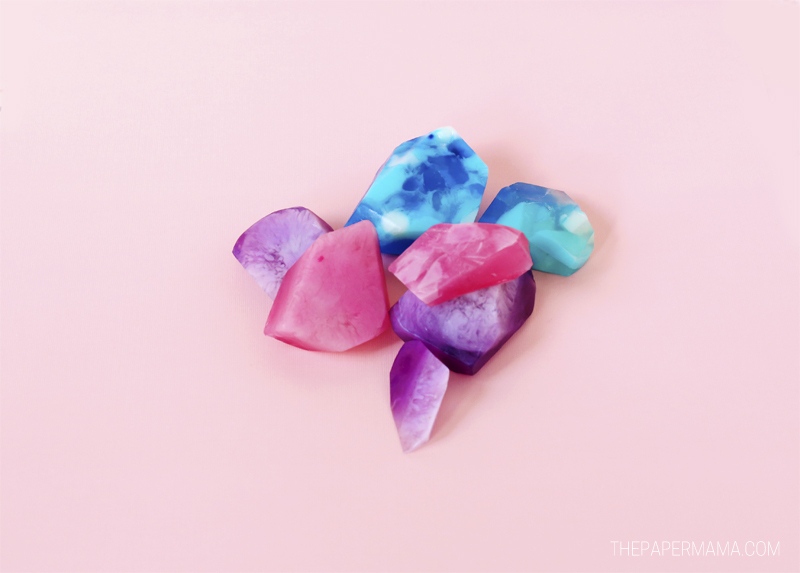 Pretty Gemstone Soap DIY - Fun Thank You Gifts! 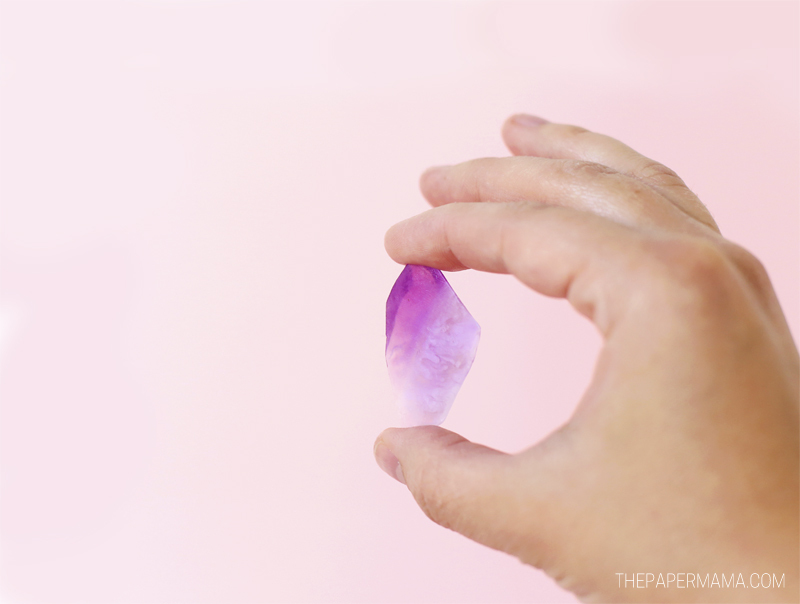 One of my favorite trends right now: gemstone everything! People are crafting anything they can find into these sparkly creations. 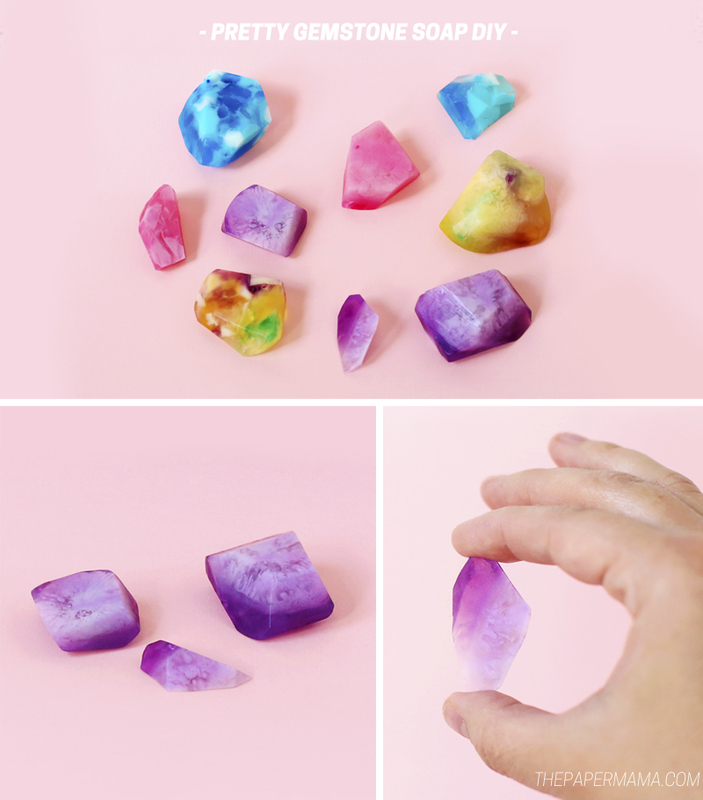 So, a couple weeks ago I picked up a gem soap making kit from Michaels and I thought it might be a fun project for my daughter and I to work on together. The kit worked fine, but the soap wasn’t exactly what we were hoping to get. It was hard to get the color to really swirl throughout the soap. We wanted more swirls! Ha! We ended up heading BACK to Michaels and picked up a whole bunch of soap making supplies to try again, our way. 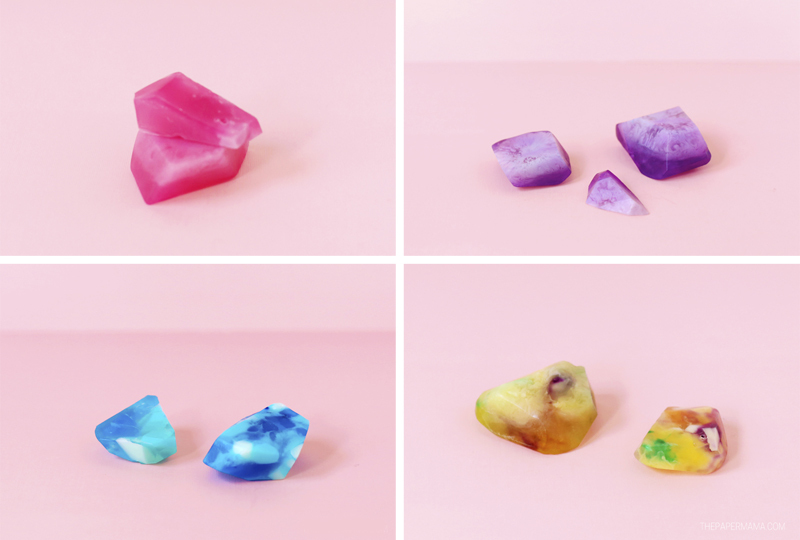 Our DIY Gemstone Soaps turned out so cute! It was definitely a lot more work to create these cuties without a kit, but worth it in the end. My daughter helped with most of it (I did all of the soap melting since that was too hot) and she’s excited to give these away as surprise gifts to her friends. What do you think? Cute? 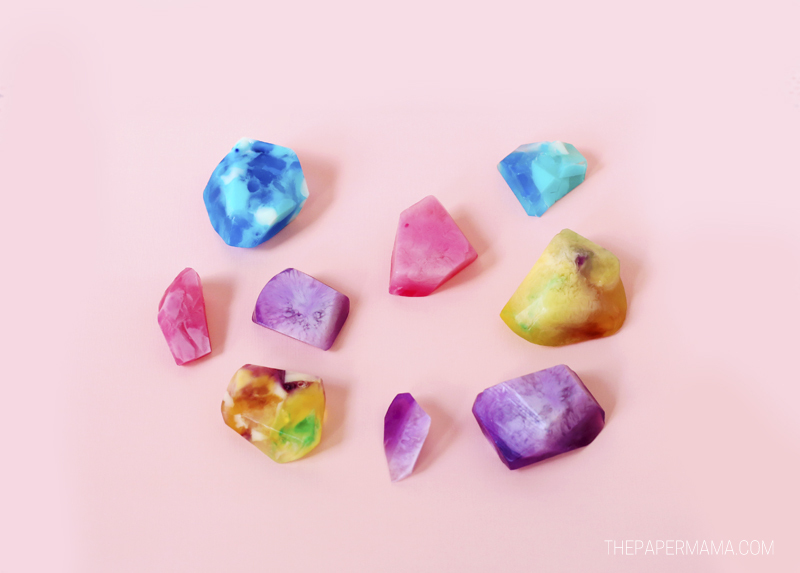 Step 1: We’ll start the whole process by coloring our soap! Set out about 6 of the small plastic cups. 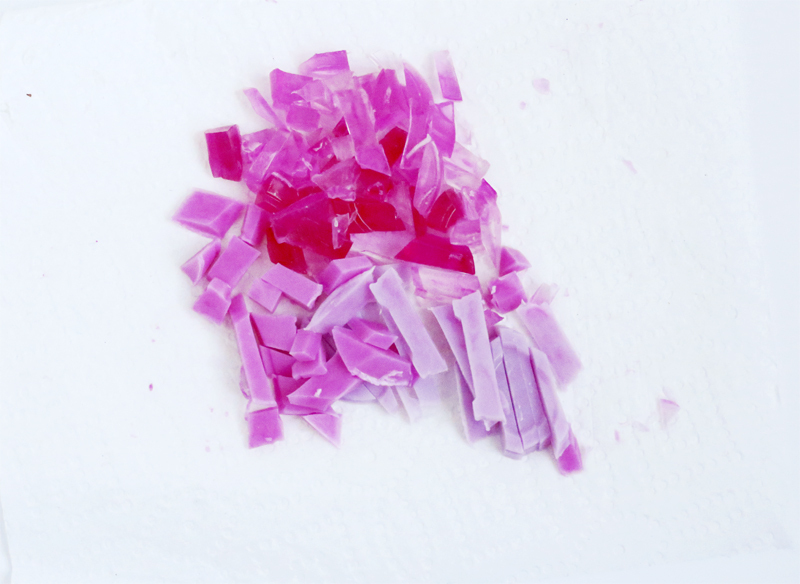 Chop up about 6 one inch cubes of the clear glycerin soap and place them in your microwave safe dish (I like using a measuring cup because it’s easier to pour the soap). Follow the melting directions for the soap. When it’s melted pour the soap into the small cups. 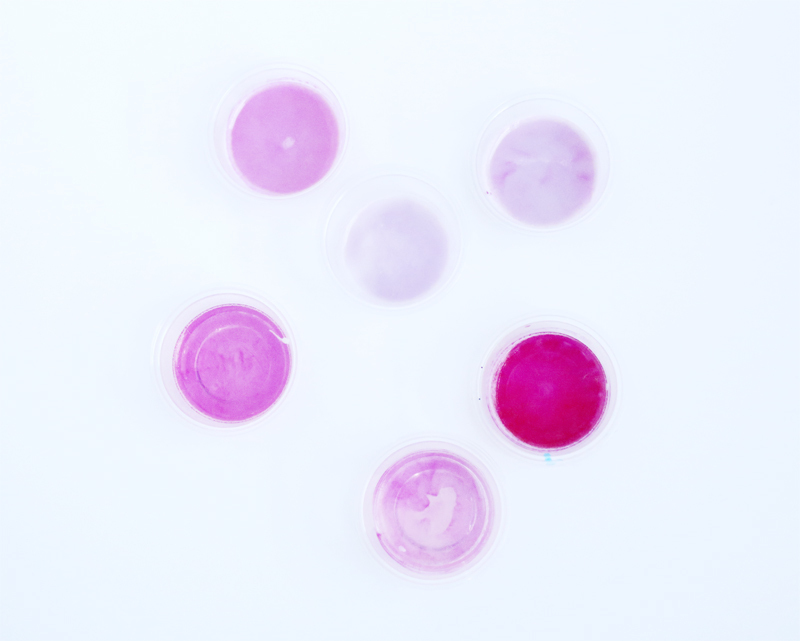 While the soap is still in liquid form, add the soap coloring to each cup. The more color you add, the darker the soap will get. 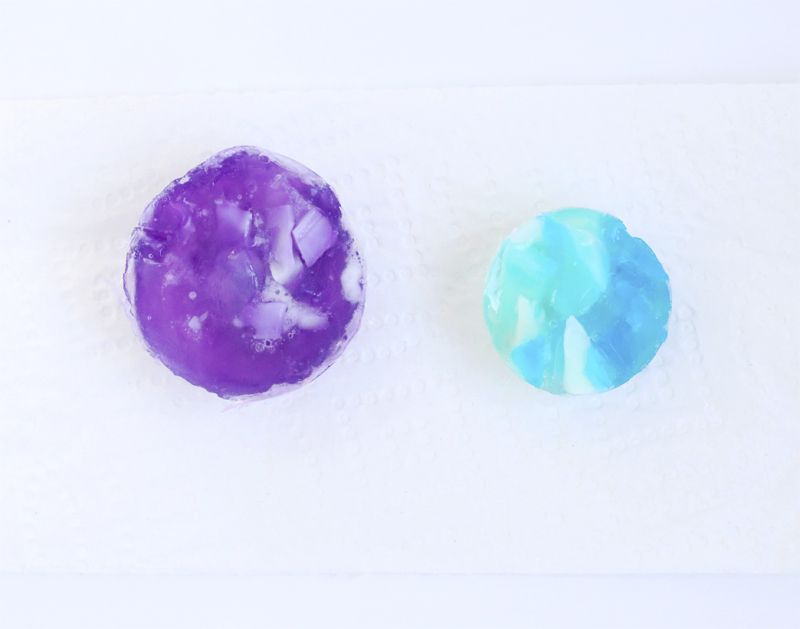 I’d suggest creating one dark, one medium, and one light color for the glycerin soap. Let the soap cool for at least 30 minutes. Repeat this process with the goats milk soap and the same color. Step 2: When the soaps have cooled pop them out of the small plastic cups. Chop them up and mix together. 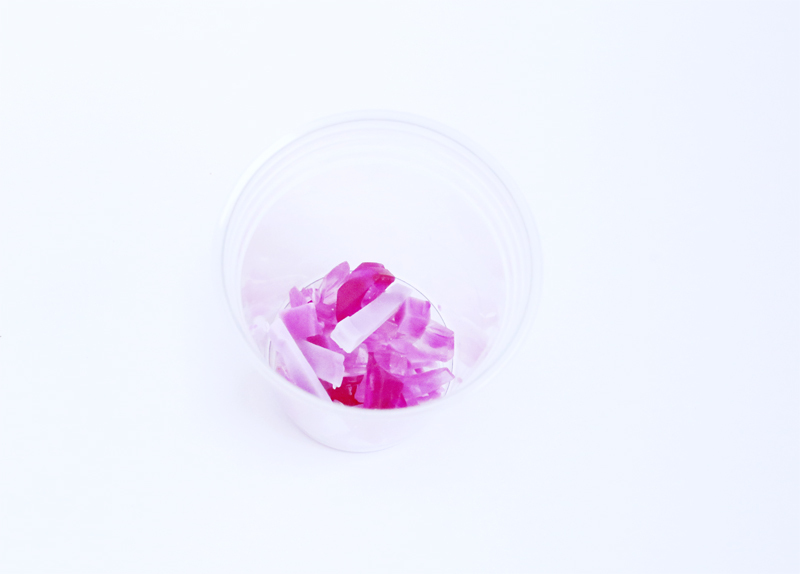 Step 4: Drop the chopped up soaps into a large plastic cup and a small cup (this is so you can get a couple different sizes of soap). Step 5: Chop up about 5 one inch cubes of the clear glycerin, add to the microwave safe dish, and melt. 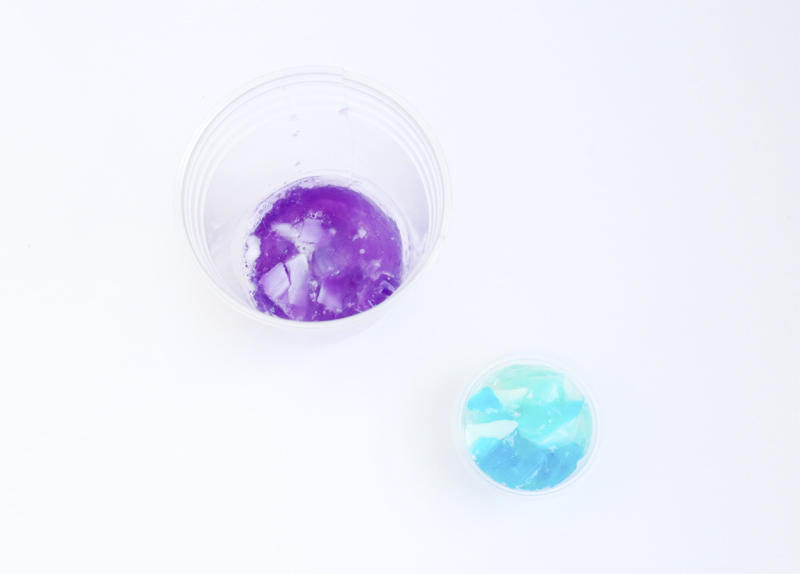 Pour the melted glycerin into the cups with the chopped up soap. 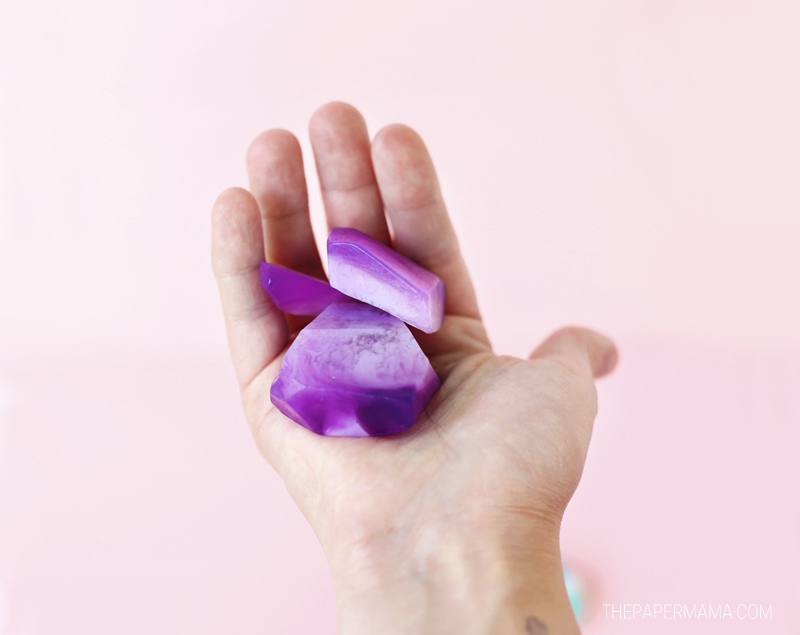 This will start to melt your colored soap! Let this cool for at least an hour. 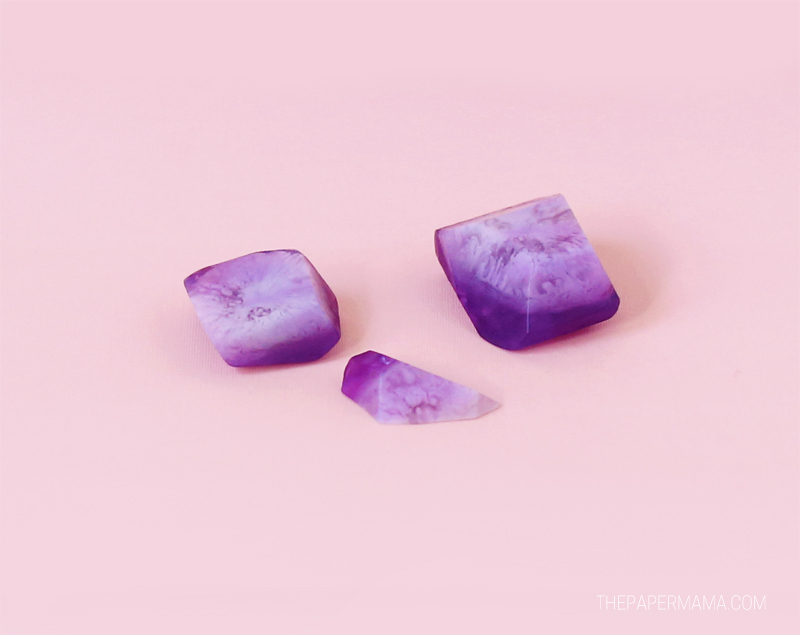 Note: if you want the soap to melt together just a little bit more, pop the cup in the microwave for a very short amount of time. If it goes too long the cup will melt and you will have a mess. Don’t do that. Step 6: Pop the soaps out of the plastic cups. You might need scissors to cut the large plastic cup. CAREFULLY use a knife to cut the soap. Just randomly cut edges into the soap. Repeat all those steps again for each different color! Be sure to check out all of the other Michaels Makers DIY trend ideas on the Michaels blog. P.S. I was provided with a Michaels gift card to create this post for you. From tie-dyeing to lettering to tassels, pom poms and even unicorns, Michaels has everything you need for the latest and hottest DIY trends!